When you think of air pollution, your mind most likely conjures outdoor scenes of a bustling, heavily-trafficked city. But pollution affects indoor environments, too, and risk factors associated with pollution aren’t restricted solely to urban areas. 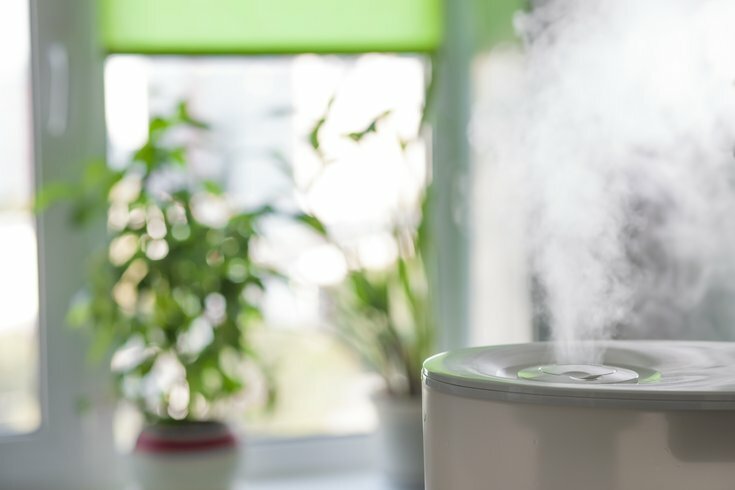 Indoor pollutants found in common household items like furniture, carpeting, paint, air fresheners, and conventional cleaning products can put you and your family at risk for health complications, including asthma. The Environmental Protection Agency warns that the effects of indoor irritants and allergens are becoming increasingly problematic, as people are spending more time indoors than ever before. Luckily, there are ways to combat the complications caused by pollution by improving the air quality in your home. An air purifier is a device that cleans the air by removing common contaminants found in most indoor spaces. Active air purifiers do this by way of ionization, a process that neutralizes dust particles and harmful gases like formaldehyde, sulfur dioxide, and hydrocarbon compounds. Inactive air purification units, on the other hand, remove pollutants using a filter. With hundreds of different models ranging in price from $100 to $1,000, it’s important to conduct a little research before making your purchase to ensure you end up with a machine that suits your space. A recent study conducted by NASA concluded that not only do house plants release oxygen, they effectively remove air pollutants commonly found in most indoor environments. Products used in many homes, like paint and paint thinner, glues, adhesives, and cleaning supplies, all contain volatile organic compounds,otherwise know as VOCs. Breathing these chemicals day in and day out can take a toll on your health, and may aggravate asthma and allergies. According to this study, one house plant for every fifty feet will go a long way when it comes to removing harmful particles from your home. NASA even put together a list of the top air scrubbers, including the bamboo palm, English ivy, Chinese evergreen, and peace lily. Many petroleum-based products, from candles to artificial fragrances found in laundry detergents, release harmful chemicals into the air every time you use them. Research has shown that a single plug-in air freshener can emit up to 20 different VOCs, including seven that are deemed toxic under U.S. federal laws. If you can’t live without your candle collection, opt for alternatives that contain soy, coconut, or beeswax, and be sure to look for options with an all-natural cotton wick. Make the switch to natural cleaning products and detergents, swapping scented items for fragrance-free ones when possible. You can even make your own household cleaning products using simple, inexpensive ingredients like vinegar, rubbing alcohol, and essential oils, to name a few. Radon is a harmful radioactive gas, and its lack of color and odor make it difficult to detect. In fact, it is the second leading cause of lung cancer in the U.S. today. Whether your home is new or old, airtight or drafty, radon is still a potential threat to you and your family. Radon test kits are available at hardware shops and home improvement stores, and most are inexpensive and user-friendly. Taking control of your home’s air quality is essential no matter where you live or what season it is. Simple things, like concocting your own homemade soap or shopping for a new houseplant, can even be fun for the whole family.